10% of the profits is annually donated to the Dorchester Paws. This is Ryder’s last stop. It’s a half million acre ranch and home to forty teenagers. It’s also home to a famous and eccentric philanthropist with a peculiar obsession with the North Pole. His name is Billy “Big Game” Sinterklaas. But shortly after Ryder arrives, secret messages begin leading him to what’s really happening. Billy Big Game believes that Santa Claus is real. This is the year he proves it. 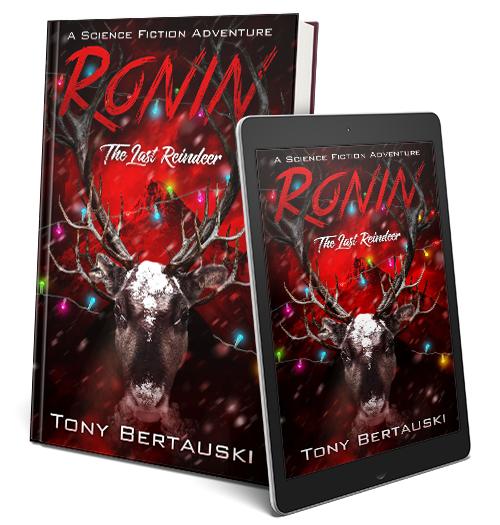 He says there’s one Christmas story no one has ever heard, the legend of the biggest and baddest reindeer of them all, the one who leads the sleigh on Christmas Eve and the one who protects the herd. But Billy Big Game doesn’t want to discover the last reindeer. He wants to capture him. That’s why he brought Ryder to the ranch.